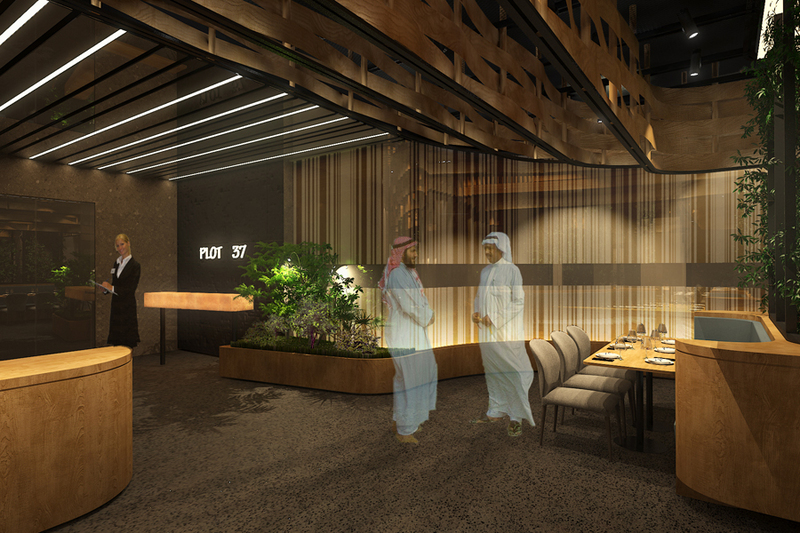 Argan Square 37 introduces a new dining concept in the thriving F&B sector of Kuwait. 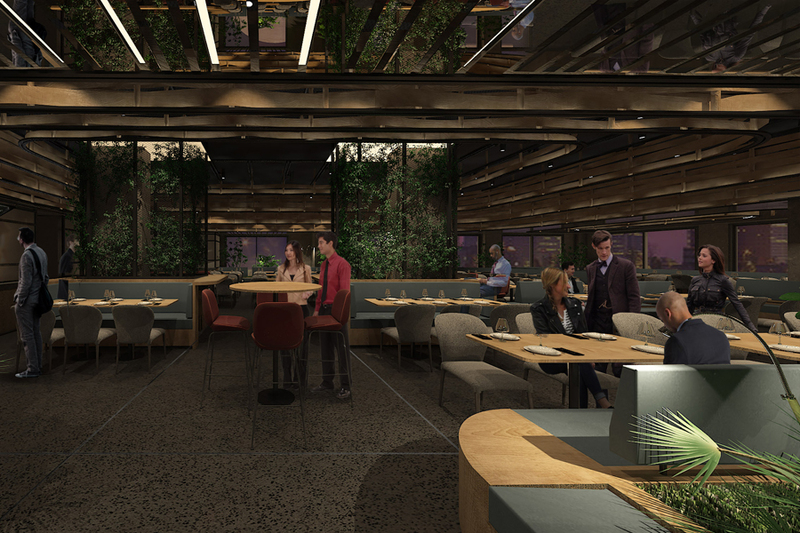 Its primary aim is to encourage and promote young and upcoming local chefs by providing them with a platform to kickstart their careers.The program consists of four kitchens leased to different tenants and one common dining hall. The interior space has been conceived as an extension of the external piazza with seating buffered by landscape in a manner reminiscent of street parklets. 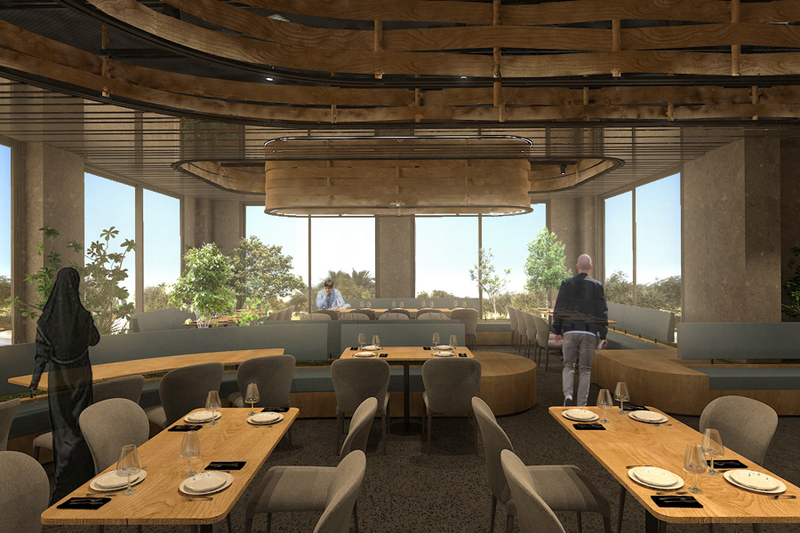 Plywood benches integrating side tables, storage cabinets and planters delineate the hall offering a multitude of seating arrangements with a live cooking station (for invited celebrity chefs) occupying center stage.The four kitchens are radially tucked behind a curved laminated glass screen with a veil-like film revealing views of the cooking activity through a horizontal transparent slit. 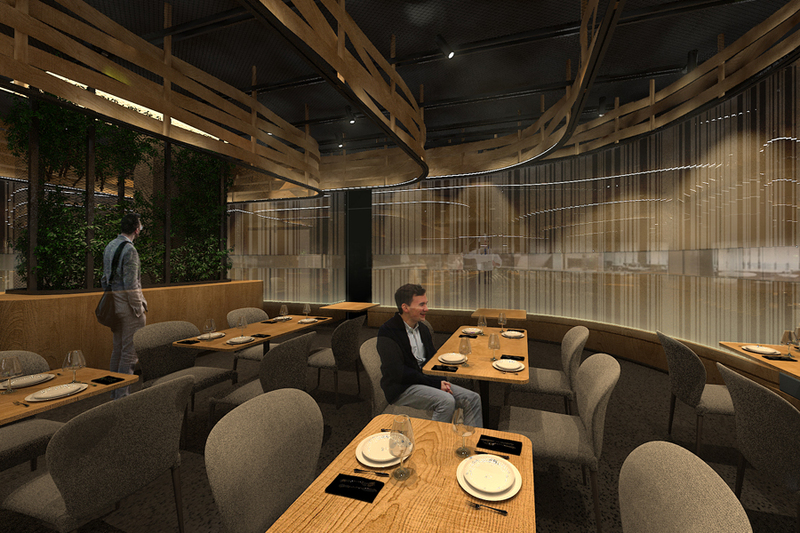 The ceiling consists of exposed ducting and cabling behind a grid of black metallic mesh from which are suspended rows of wood veneer weaving through the main hall. In contrast to the “industrial” feel of the finishes, the wood veneers add an element of warmth while also serving as rails for translucent curtains aimed at further modulating the occupancy of the hall in an ethereal manner. A border ceiling strip of reflective laminates glued on wooden slats above the planters vaguely mirror the greenery especially when lit at night.